For other uses, see Issei (disambiguation). 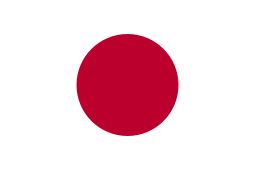 Issei (一世?, "first generation") is a Japanese language term used in countries in North America and South America to specify the Japanese people who were first to immigrate. Issei are born in Japan, their children born in the new country are referred to as Nisei (second generation), and their grandchildren are Sansei (third generation). All of them come from the numbers "one, two, three" in the Japanese language, as Japanese numerals are "ichi, ni, san." The character and uniqueness of the Issei is recognized in its social history. The first Japanese-Brazilian (Nipo-brasileiros) immigrants arriving aboard the Kassato Maru in 1908. They would call themselves Issei. Although the earliest organized group of Japanese emigrants settled in Mexico in 1897, the four largest populations of Japanese and descendants of Japanese immigrants live in Brazil, the United States, Canada and Peru. Brazil is home to the largest Japanese population outside Japan, numbering an estimate of more than 1.5 million (including those of mixed-race or mixed-ethnicity), more than that of the 1.2 million in the United States. The Issei Japanese Brazilians are an important part of that ethnic minority in that South American nation. The first members of the Issei did not emigrate directly to the mainland United States, but to Hawaii (when it was American-controlled but not yet one of the United States). These emigrants — the first of whom arrived on board the steamship City of Tokio in February 1885 — were common laborers escaping hard times in Japan, and their emigration was subsidized by the Hawaiian government, which needed cheap labor for its sugar plantations. A large number of Japanese eventually settled in Hawaii. Emigration of Japanese directly to the United States began a little later in 1885, with the arrival of "student-laborers". The earliest of these emigrated to San Francisco, and their numbers continually expanded in the late 1880s and early 1890s. Their purpose in moving to America was to gain advanced knowledge and experience in order to develop the modern society at home. Both students and laborers were attracted by the image of America as a country that welcomes foreigners. When they first arrived in the U.S., they had not intended to live there permanently, but rather to learn from Americans and to bring that knowledge back home. Within Japanese-Canadian communities across Canada, three distinct subgroups developed, each with different sociocultural referents, generational identity, and wartime experiences. The narrative of Issei Japanese-Canadians include post-Pearl Harbor experiences of uprooting, incarceration, and dispersal of the pre-war Japanese-Canadian communities. Among the approximately 80,000 Peruvians of Japanese descent, the Issei Japanese Peruvians comprise only a small number. Former Peruvian President Alberto Fujimori was the Nisei son of Issei emigrants from Kumamoto, Japan. Fujimori's political opponents tried unsuccessfully to prove that he was actually born in Japan — in which case he would have been Issei like his immigrant mother and father. Japanese-Americans and Japanese-Canadians have special names for each of their generations in North America. These are formed by combining one of the Japanese numbers corresponding to the generation with the Japanese word for generation (sei 世). The Japanese-American and Japanese-Canadian communities have themselves distinguished their members with terms like Issei, Nisei, and Sansei which describe the first, second and third generation of immigrants. The fourth generation is called Yonsei (四世) and the fifth is called Gosei (五世). The Issei, Nisei and Sansei generations reflect distinctly different attitudes to authority, gender, non-Japanese involvement, and religious belief and practice, and other matters. The age when individuals faced the wartime evacuation and internment is the single, most significant factor which explains these variations in their experiences, attitudes and behaviour patterns. Nisei (二世) The generation of people born in North America, Latin America, Australia, Hawaii, or any country outside Japan either to at least one Issei or one non-immigrant Japanese parent. Sansei (三世) The generation of people born to at least one Nisei parent. Yonsei (四世) The generation of people born to at least one Sansei parent. Gosei (五世) The generation of people born to at least one Yonsei parent. In North America, since the redress victory in 1988, a significant evolutionary change has occurred. The Nisei, their parents and their children are changing the way they look at themselves and their pattern of accommodation to the non-Japanese majority. There are just over one hundred thousand British Japanese, mostly in London. Unlike other Nikkei communities in the world, these Britons do not identify themselves in such generational terms as Issei, Nisei, or Sansei. The first generation of immigrants, born in Japan before moving to Canada or the United States, is called Issei (一世). In the 1930s, the term Issei came into common use, replacing the term "immigrant" (ijusha). This new term illustrated a changed way of looking at themselves. The term Issei represented the idea of beginning, a psychological transformation relating to being settled, having a distinctive community, and the idea of belonging to the new country. Issei settled in close ethnic communities, and therefore did not learn English. They endured great economic and social losses during the early years of World War II, and they were not able to rebuild their lost businesses and savings. The external circumstances tended to reinforce the pattern of Issei being predominantly friends with other Issei. Unlike their children, they tend to rely primarily on Japanese-language media (newspapers, television, movies), and in some senses, they tend to think of themselves as more Japanese than Canadian or American. Issei women's lives were somewhat similar, despite differences in context, because they were structured within interlocking webs of patriarchal relationships, and that consistent subordination was experienced both as oppressive and as a source of happiness. The Issei women lived lives of transition which were affected by three common factors: the dominant ideology of late Meiji Japan, which advanced the economic objectives of the Japanese state; the patriarchal traditions of the agricultural village, which arose partly as a form of adjustment to national objectives and the adjustment to changes imposed by modernization; and the constraints which arose within a Canadian or American society dominated by racist ideology. Substantive evidence of the working lives of Issei women is very difficult to find, partly for lack of data and partly because the data that do exist are influenced by their implicit ideological definition of women. Within the framework of environmental contradictions, the narratives of these women revealed a surprisingly shared sense of inevitability, a perception that the events of life are beyond the control of the individual, which accounts for the consistency in the way in which Issei women, different and individual in many ways, seem to have structured their emotions—and this quality of emotional control was passed to their Nisei children. The kanreki (還暦), a traditional, pre-modern Japanese rite of passage to old age at 60, was sometimes celebrated by the Issei and is now being celebrated by increasing numbers of Nisei. Rituals are enactments of shared meanings, norms, and values; and this Japanese rite of passage highlights a collective response among the Nisei to the conventional dilemmas of growing older. Japanese American photographer and former social worker Mary Koga documented members of her parents' generation in their twilight years. Her Portrait of the Issei in Illinois series shows Koga at ease with these people in a relaxed atmosphere. Done over a long period from the 1970s to the 1990s, the images show her elderly subjects at the day care facility and the Senior Citizens Work Center of the Japanese American Service Committee (JASC) and at Heiwa Terrace, a Japanese American senior residence, both located in Chicago. The experience of emigrants is inevitably affected by a range of factors directly related to the Japanese society they left behind. As immigrants, the conflicts between the old country and the new played out in unique ways for each individual, and yet common elements do begin to appear in the history of the Japanese Canadian and Japanese American communities. Japan was a closed country for more than two centuries, 1636 to 1853, since military rulers from the Tokugawa family wanted to keep foreigners away from Japanese society. The only exceptions were Chinese and some Dutch, but even they were discouraged from associating with Japanese citizens. Also, it was strictly prohibited by law for ordinary Japanese citizens to go abroad. Change came around the early 19th century when the visit of an American fleet commanded by Commodore Perry caused the new Japanese government to replace the Tokugawa system of economics and politics during the Meiji era in order to open its door to trade and contact with the outside world. After 1866, the new Japanese government decided to send students and laborers to the U.S. in order to bring back the knowledge and experience necessary for the nation to grow strong. After 1884, emigration of working classes was permitted; and the first issei began to arrive in North and South America soon after. For example, in 1890, only 25 Issei lived in Oregon. By 1891, 1,000 Japanese lived in Oregon. In 1900, 2,051 Japanese had come to live in Oregon. By 1915, Japanese men with savings of $800 were considered eligible to summon wives from Japan. Few Japanese workers came to North America intending to become immigrants. Initially, most of them came with vague plans for gaining new experiences and for making some money before returning to homes in Japan. This group of workers was overwhelmingly male. Many Issei arrived as laborers. They worked in employment sectors such as agriculture, mining, and railroad construction. The Issei were born in Japan, and their cultural perspective was primarily Japanese; but they were in America by choice. Despite a certain nostalgia for the old country, they had created homes in a country far from Japan. If they had not been prohibited from becoming citizens, many would have become citizens of the United States. In 1913, California's Alien Land Law prohibited non-citizens from owning land in the state, and several other states soon after passed their own restrictive alien land laws. This included the Issei, Japanese residents born in Japan, but not their children, the Nisei, who were born in United States or Hawaii, and who therefore were American citizens by birth. Many of the Issei responded to the law by transferring title to their land to their Nisei children. Americans generally viewed the Issei as a crude, ill-educated lot. Possible reasons for this may be the fact that most Japanese were forced to work in menial jobs in the U.S., such as farming. Since there were many immigrants working in the U.S., Americans were relatively predisposed to have a negative view toward the immigrants. In fact, most of the Issei were well-educated. Most of them were better educated than the general Japanese public, and also compared with the average American population back then. Sixty percent of them actually completed middle school, and 21 percent were high school graduates. Whether Christian, Buddhists, or nonbelievers, the Issei almost never caused trouble in the civil authority. The arrest rate for the Issei from 1902 to the 1960s was relatively lower than for any other major ethnic group in California. The only exceptions were that some young Issei committed crimes relating to gambling and prostitution, which stemmed from different cultural morals in Japan. Since Buddhist social morals were deeply ingrained, the Issei tended to refrain from antisocial behavior. Also, they were concerned about the Japanese government, that the national image should not be sullied by misbehavior in the U.S. The post-1900 cause to renew the Chinese Exclusion Act became generalized protests against all Asian immigrants, including the Issei. Since many Chinese immigrants left the U.S., hostility fell on the Issei. American labor organizations took an initiative in spreading Anti-Japanese sentiment. White Americans wanted to exclude them since they did not want any Asians to take their jobs away. As a result, they formed the Asiatic Exclusion League that viewed Japanese and Chinese as a threat of American workers. The protest of the league involved picketing and beatings of the Issei. In October 1906, amid this anti-Japanese milieu, the San Francisco School Board, carrying out a campaign promise of the mayor, ordered all Japanese and Korean pupils to join the Chinese students at a segregated school. The Issei were displeased with the situation and some reported to Japanese newspapers. This caused the Japanese government to protest against the former President, Theodore Roosevelt, and as a result, they signed the Gentlemen's Agreement of 1907. This agreement led the period of settling and family building to come. By 1911, almost half of the Japanese immigrants were women who landed in the U.S. to reunite with their husbands. After the Gentleman's agreement, a number of Nisei, the second-generation Japanese, were born in California. Yet, it did not stop some white Americans from segregating Japanese immigrants. The Issei were a role model of American citizens by being hardworking, law-abiding, devoted to family and the community. However, some Americans did not want to admit the virtues of the Issei. The Immigration Act of 1924 represented the Issei's failed struggle against the segregation. The experiences of the Issei extend from well before the period before July 1, 1924, when the Japanese Exclusion Act came into effect. The Issei, however, were very good at enhancing rice farming on "unusable" land. Japanese Californian farmers made rice a major crop of the state. The largest Issei community settled around Vacaville, California, near San Francisco. When the Canadian and American governments interned West Coast Japanese in 1942, neither distinguished between those who were citizens (Nisei) and their non-citizen parents (Issei). When the apology and redress for injustices were enacted by the American Congress and the Canadian Parliament in 1988, most of the Issei were dead, or too old for it to make any significant difference in lives that had been disrupted. The number of issei who have earned some degree of public recognition has continued to increase over time; but the quiet lives of those whose names are known only to family and friends are no less important in understanding the broader narrative of the nikkei. Although the names highlighted here are over-represented by issei from North America, the Latin American member countries of the Pan American Nikkei Association (PANA) include Argentina, Bolivia, Brazil, Chile, Colombia, Mexico, Paraguay, Peru and Uruguay, in addition to the English-speaking United States and Canada. Yoko Ono Lennon (1933 – ) artist and musician. Joseph Ogura (1915-1983), an otolaryngologist; head and neck surgeon. Chairman of the Department of Otolaryngology at Washington University in St. Louis, Missouri. A pioneer in designing and teaching head and neck cancer surgeries. He authored over 200 original articles. Author of over 10 definitive textbooks in the field of head and neck oncology. Nisei (二世), with his California family interned during WW II. He was advised to move to the midwest to avoid internment becoming the chairman of otolaryngology; head and neck surgery at Washington University from 1960 – 1983. Hikaru Nakamura (1987 - ), an American chess Grandmaster and three time United States Chess Champion. George Shima (1864–1926), the first Japanese American millionaire. ↑ Numrich, Paul David. (2008). North American Buddhists in Social Context, p. 110. ↑ Tate, E. Mowbray. (1986). Transpacific Steam: The Story of Steam Navigation from the Pacific Coast of North America to the Far East and the Antipodes, 1867-1941, p. 231. ↑ Sakata, Yasuo. (1992). Fading Footsteps of the Issei, p. 1. 1 2 3 4 5 McLellan, Janet. (1999). Many Petals of the Lotus: Five Asian Buddhist Communities in Toronto, p. 36. 1 2 Ikawa, Fumiko. "Reviews: Umi o Watatta Nippon no Mura by Masao Gamo and "Steveston Monogatari: Sekai no Naka no Nipponjin" by Kazuko Tsurumi, American Anthropologist (US). New Series, Vol. 65, No. 1 (Feb., 1963), pp. 152-156. ↑ Oiwa, Keibo and Joy Kogawa. (1991). Stone Voices: Wartime Writings of Japanese Canadian Issei, p. 18. ↑ "Fujimori Secures Japanese Haven," BBC News. December 12, 2000. ↑ "What is Nikkei?" Japanese American National Museum. ↑ Ikezoe-Halevi, Jean. "Voices of Chicago: Day of Remembrance 2006," Discover Nikkei (US). October 31, 2006. ↑ Kobayashi, Audrey Lynn. Women, Work and Place, p. xxxiii. ↑ Doi, Mary L. "A Transformation of Ritual: The Nisei 60th Birthday." Journal Journal of Cross-Cultural Gerontology. Vol. 6, No. 2 (April, 1991). ↑ Mary Koga Photograph Collection at JASC. Examples of these photos are also held by the Museum of Contemporary Photography, Chicago and the Art Institute of Chicago. ↑ Spickard, Paul R. (1997). Japanese Americans: The Formation and Transformations of an Ethnic Group, p. 7. 1 2 Tamura, Linda. (1998). The Hood River Issei: An Oral History of Japanese Settlers in Oregon's Hood River Valley, p. xxxvii. ↑ Yenne, Bill. (2007). Rising Sons: The Japanese American GIs Who Fought for the United States in World War II, p. xv. ↑ Mercier, Laurie et al. "Historical overview," Japanese Americans In the Columbia River Basin, Washington State University web project. ↑ Kirmura, Yukiko. (1988). Issei: Japanese Immigrants in Hawaii, (abstract). ↑ Dinnerstein, Leonard et al. (1999). Ethnic Americans: A History of Immigration, p. 181. ↑ U.S. House of Representatives: Mazie Hirono. ↑ International Skating Union: Rena Inoue. April 15, 2009. ↑ Internet Movie Database: Shin Koyamada. ↑ Appelo, Tim. "University of the Future: The physical transformation into a premier independent university," Seattle University Magazine. Summer 2008. ↑ Imagine Peace, Yoko Ono, 2009. ↑ Ogura, Joseph. "Joseph H. Ogura and The American board of otolaryngology: Development of a specialist; Development of a specialty". Ogura, Joseph. "Dr. Joseph H.Ogura in Memorandum.". ↑ Internet Movie Database: Masi Oka. ↑ "Biographical Snapshots: Jokichi Takamine," Journal of Chemical Education. ↑ "Takuji Yamashita". Art Work. University of Washington School of Law. Retrieved 26 August 2015. Wikimedia Commons has media related to Internment of Japanese-Canadians and Japanese American internment. 1 The U.S. Census Bureau definition of Asians refers to a person having origins in any of the original peoples of the Far East, Southeast Asia, or the Indian subcontinent. 5 Bengali Americans may be classified as Bangladeshi or Indian. Punjabi Americans may be classified as Indian or Pakistani. Tamil Americans may be classified as Indian or Sri Lankan.